Researchers in Britain say they have developed a new vaccination strategy to combat deadly African Horse Sickness, with hopes that a manufacturer can be persuaded to complete development and bring it to market. The work was carried out by scientists at England’s Pirbright Institute, led by a world expert on the disease, Dr Javier Castillo-Olivares. The scientists say they are confident the vaccination strategy they developed is both safe and effective, adding that the next battle is to build a business case persuasive enough to encourage a manufacturer to bring it to market, given this particular vaccine is considered to have a relatively small market. African Horse Sickness is caused by a virus transmitted by Culicoides biting midges. 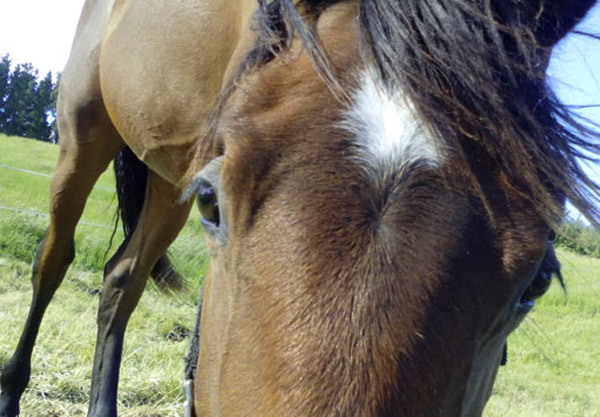 It is one of the deadliest viruses to affect horses, causing up to 90% mortality in susceptible animal populations and huge economic losses for the equine industry, as well as for owners of working horses. It is prevalent, or endemic, in central and sub-Saharan Africa, but major outbreaks have also been reported in the Middle East, India, Pakistan, Spain, Portugal, and Morocco. Vaccines are available using live attenuated (weakened) virus in some countries such as South Africa, where the virus persists. These vaccines are not considered safe enough for licensed use in countries where the virus is not present, including the European Union. This has had a major negative impact on the equine industry and sport, due to strict international travel controls to and from countries where the virus is endemic. The Pirbright scientists have developed a modern recombinant vaccine strategy – that is, one resulting from new combinations of genetic material. It uses modified Vaccinia Ankara virus, which is innocuous to horses, to carry and deliver the gene of African Horse Sickness virus that makes the molecule inducing protection against the disease. The vaccine has been successfully tested in a mouse model developed by the institute team, and also in horses. Crucially, this vaccination strategy has the potential to be used in a “polyvalent” approach, meaning it could be capable of protecting against each of the nine different African Horse Sickness virus serotypes. Castillo-Olivares’ team has proven his vaccine model can be used successfully against six of the nine virus strains and is working to develop a complete set of vaccines for all the strains, or serotypes. He said African Horse Sickness vaccines based on the whole virus particle, when applied systematically to a horse population, made it difficult to tell if a horse had been vaccinated or infected with the virus. “Our approach is not only safe and relatively quick to produce, but crucially enables horses which are vaccinated to be differentiated from those that are infected – something which is vital in an outbreak situation, especially if this outbreak occurs in a non-endemic country. This type of vaccine could also be used in non-endemic countries too, without affecting their African Horse Sickness freedom status, which would significantly facilitate the movement of their horses locally and internationally. To get the vaccine developed and produced in sufficient quantities for global use, scientists urgently need funding. The market for this particular vaccine is perceived to be relatively small, and therefore few manufacturers are currently interested in producing it. Castillo-Olivares presented a well received paper to the World Organisation for Animal Health (OIE) to explain the benefits of this type of vaccination strategy and to ask for their support in lobbying for funding. The OIE now strongly recommends that manufacturers consider these ideas. In order to provide more scientific evidence to the equine industry and OIE member countries, the OIE is funding three research projects on the disease aimed at reviewing updates on the progress made on vaccine research, assessing the socio-economic benefits the application of these vaccines would have, and the development of serological tests that could go hand in hand with these new vaccines to differentiate vaccinated from infected horses. The Pirbright Institute is carrying out these research projects under Castillo-Olivares’ leadership. “We appreciate that manufacturers need to see an economic return on their investment – which in such cases can be substantial,” he said. The scientific groundwork has clearly shown the potential of new vaccination strategies as alternatives to classical African Horse Sickness vaccines. However, without further funding it will be impossible to translate this research into a readily available product. “What remains is for us to demonstrate that such a vaccine would be commercially viable and successful. The deadline for our projects to report is March 2017, and I am hopeful that the evidence we gather will be sufficient to secure the investment desperately needed.